What do the zoo and the movie theater have in common? 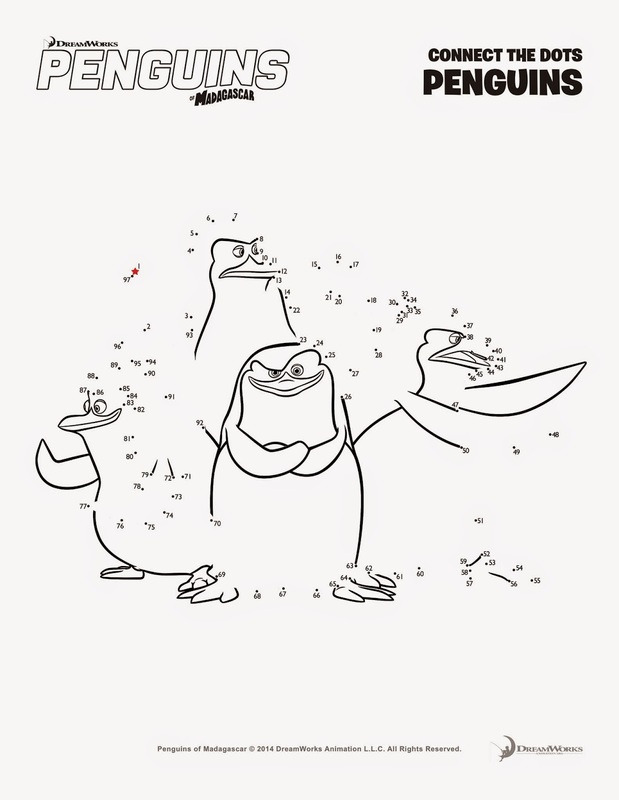 For our family it is that my kids love to go see the penguins whether that be at the Detroit Zoo's penguinarium or the penguins in the most recent Madagascar movie at our local AMC or MJR cinema. 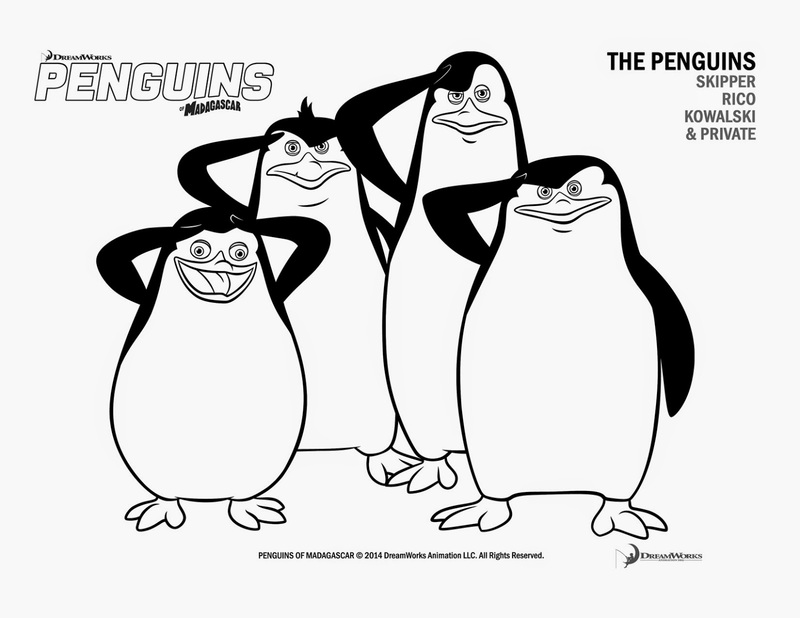 So my 6 year old twins are pretty excited that we are able to bring the penguins home with us on March 17, 2015 when the Penguins of Madagascar is released on Blu-ray and DVD. 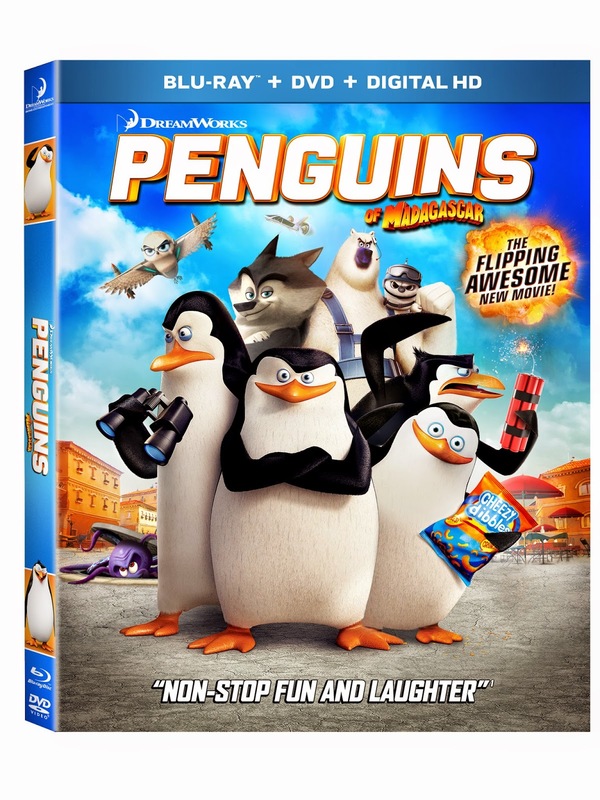 It will be joining the three other movies and a Christmas special we also have on DVD from the computer-animated Madagascar franchise in our home entertainment library. UPDATE (3/17/15) - Congrats to Karen from Chesapeake Virginia who won the movie prize pack! 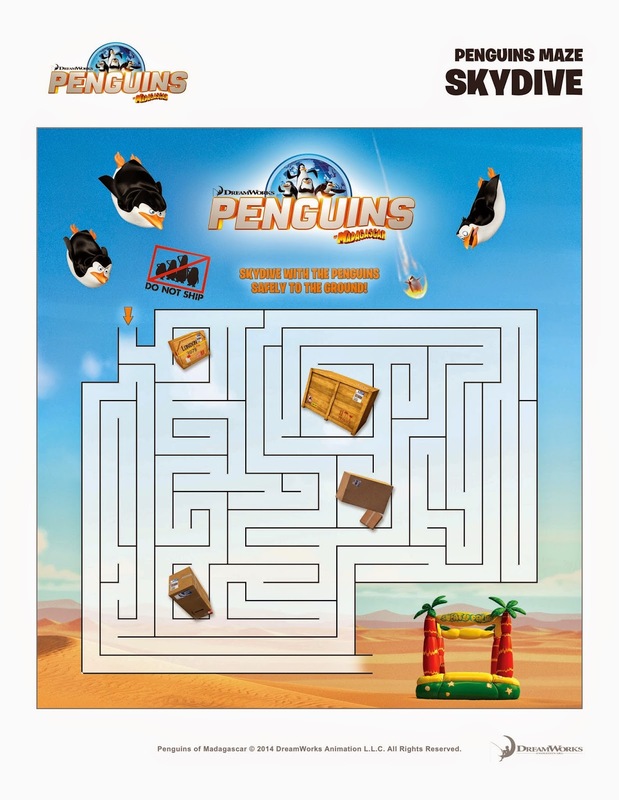 EMAIL (1 ENTRY) - Email thegeekdaddy [at] yahoo [dot] com with your name, mailing address and name of your favorite penguin from the Madagascar movies with subject line NORTH WIND. COLORING CONTEST (4 ENTRIES) - Color one of the pages posted below, scan it, and email tothegeekdaddy [at] yahoo [dot] com. 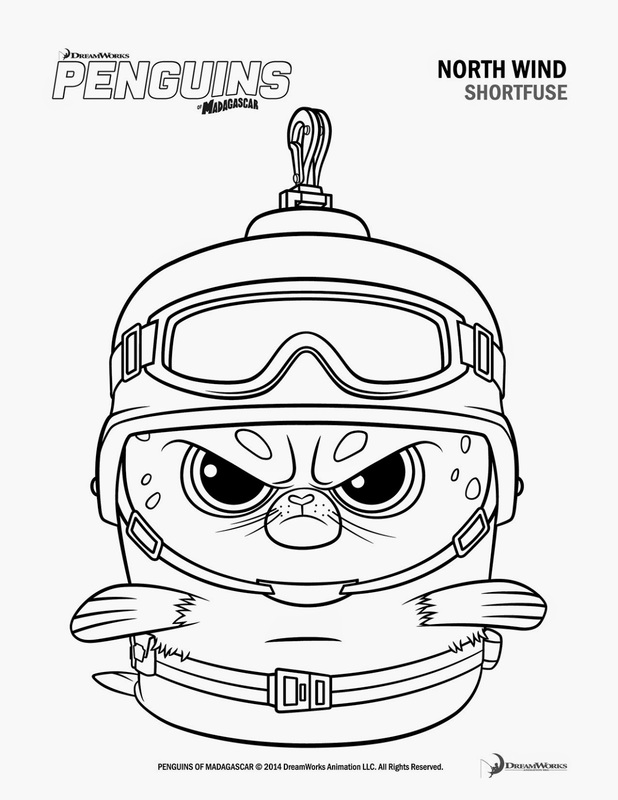 Coloring Pages will not be judged but they could possibly be posted on this blog, twitter, facebook, or google+ for all of our followers to appreciate. 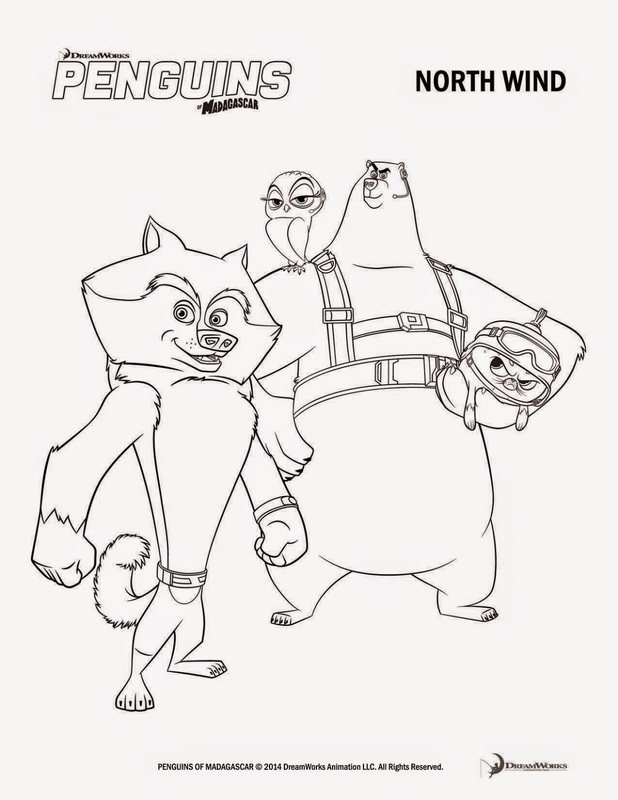 Kids are encouraged to do the coloring but adults can too. DISCLAIMER: Each entry will be assigned a number based upon the order in which it is received and one random number will be generated to select a winner. A Geek Daddy Blog will be responsible for selecting the winner of this contest, but Fox Home Entertainment is responsible for fulfillment and delivery of the prize. By participating in this contest you waive any liability towards A Geek Daddy Blog or its publisher that may arise from your involvement with this promotion. If you win this prize on another blog, you will not be eligible to win again. Winner is subject to eligibility verification. Prize will be delivered by UPS or FedEx so no P.O. Boxes are allowed as mailing addresses. A Geek Daddy Blog did not receive any financial compensation but did receive a review DVD for the blog and the prize that is being awarded to one of our readers for this contest. A Geek Daddy Blog is hosting this contest as a benefit to our readers. Any opinions in this post are my own. By submitting a coloring entry you grant permission for it to be shared on this blog and through our social media outlets.